It’s no secret that there is a fairly narrow spectrum encompassing the things Detroit is known for by communities abroad. The auto industry, the Motown sound, and the crime rate are just a few common buzz topics. A true Detroiter, however, knows that there is more to this place than historical fame and present day propaganda. In all actuality it is a melting pot of talent. These city limits house an abundance of brilliant and creative individuals carving out their opportunity to burst through the ceiling of adversity with their dreams in tow. Among those persons are Crystal Bailey and Daishawn Franklin, the masterminds behind WALK. After the birth of their daughter, Bailee Dai, Crystal Bailey, a model, developed an interest in exploring other areas of the fashion business. Her experience combined with the marketing savvy Franklin had acquired as a successful event promoter proved to be the perfect recipe for fashion show production. Like all great things, their shows started off small but grew as success came rapidly. Initial ventures such as “Upgrade” and “Blue Carpet Treatment” were popular among local fashion enthusiasts. It was evident then that the future of this collaboration was bright until one show failed follow the trend. At their largest venue yet, COBO Hall, Bailey and Franklin put on the show that served as the disastrous turning point in the direction their business was going. The show lacked refinement and lead to the realization that there was also an absence of any concrete branding. Part of its charm includes its relentless effort to display diversity in fashion. 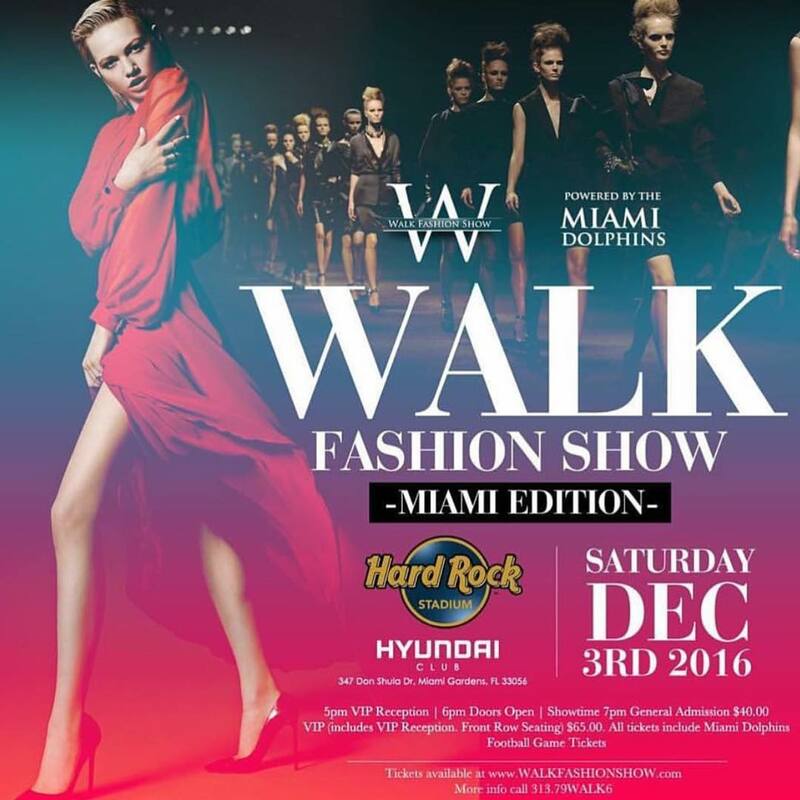 Models of varying sizes and ethnic backgrounds are offered the opportunity to hit the runway. There is even an adjunct show, WALK University, showcasing children’s fashion. The heir to the WALK legacy, Bailee, has been struting her stuff on the WALK U stage since she was two years old. In five years the WALK family hopes to be present in at least 20 states, working toward international visibility, and continually breaking down the stereotypes that come along with calling Detroit home. This city is more than what the news reports and it is evolving beyond what history reflects. In the care of Crystal Bailey, Daishawn Franklin and all who have tagged along for the ride, Detroit is well on its way to a more positive persona and to becoming a community known for style and urbanity. Picture Detroit with its chin up, shoulders back, pelvis forward and a “smize” in its eyes. One foot in front of the other, step by step, this fashion show aims to teach the world and entirely new way to walk.